Up until now it has only been e-commerce sites that needed a secure connection but this has changed. Google, Apple, Mozilla (Firefox) and Microsoft have all announced initiatives to force websites to use secure connections in 2017. This will include browser messages warning visitors that a site is not insecure, which will potentially generate confusion and concern with your website visitors that your website is not safe. Avoid this by adding SSL (Secure Sockets Layer) to your website now. Did you know that Secure sites also have an SEO advantage? – that is official from Google! The SSL Certificate Store allows you to find the right certificate for your business. GeoTrust, Symantec, Norton Secured, Thawte, Certum, RapidSSL and COMODO. Is your website ready for 2017? What is SSL and how does it work? It’s time to start preparing for the future of a totally encrypted web. According to a February 2016 Netcraft report, only 3% of websites today deploy SSL/TLS encryption. In turn, this means that a whopping 97% of websites currently lack basic security. This is a shocking and frightening statistic, especially in an era where 90% of large organizations have been hacked or breached and 74% of small-to-medium sized businesses have suffered attacks as well. But those days have come and gone. With so much of the internet still not secure, browsers have begun to incentivize ALL websites to deploy at least basic SSL/TLS encryption as a minimum standard. Google gives an SEO ranking boost to sites with SSL/TLS! Google made an unmistakable announcement back in 2014 that it would start factoring SSL/TLS into its ranking algorithm. While the impact was fairly minimal at first, the positive effect an SSL certificate has on search results has continued to increase as the community pushes all sites towards encryption. Websites with SSL are now experiencing as much as a 5% increase in search visibility compared to sites still only using HTTP. Also, referrer data is always preserved and much improved over HTTPS. This allows for greater keyword analytics and analysis for where a site’s traffic is coming from. Google Chrome is also only deploying certain popular and powerful features to sites with SSL/TLS. One of these features is Geolocation. With version 50 and beyond, Chrome will no longer support obtaining a user’s location on HTTP sites. So, if a website wants local visitors to find their physical location, they need to install an SSL certificate on their domain. HTTP/2, the first major revision of the web’s HTTP protocol since 1997 has recently been ratified by the Internet Engineering Task Force (IETF). Currently, HTTP/2 represents about 18% of global traffic and will continue to rise exponentially. The main benefit of HTTP/2 is significantly faster load times – between 20-30%! There are many different types of certificates available with different levels of trust and authority. You can either undertake your own research to determine which is best for your needs or ask the professionals at the SSL Store. All the most trusted SSL Security Certificate providers in one store. A price guarantee not just to match any other advertised price – but beat it! The SSL store has over 50 dedicated SSL security specialists to assist you with your SSL Certificate. They provide a 24/7 help desk including live chat, phone support and ticketing system. If you are not sure this is what you need or have any question join my FREE internetSOS group at Facebook and ask the Virtual Webmaster. Visit the SSL Store to find out which certificate is best for you. Today you need protection when you go online regardless of the device you are using. The Mac is no exception. There was a time when Macs seemed exempt from viruses and other malware but this has changed and today the Mac is increasingly targeted with Malware. We recommend Intego premium which provides protection from all online threats plus other features to ensure your online safety and privacy. If you are serious about online protection! Intego NetBarrier – location-aware firewall protects your Mac on the go! Intego Personal Backup makes copies of your files for quick and easy recovery in case of theft, data corruption, or natural disasters. Run manual backups or create an automated schedule that backs up your information for you. Whether you want control of your backups or prefer to set it and forget it, Intego Personal Backup’s got you covered. Mac Security that just works! Intego have been exclusively focused on Mac security since 1997 and provide a fully integrated security solution that is easy to use and will not slow down your mac or cause conflicts or other issues. This unfortunately can not be said for most of the competition. TheMacUdotcom Youtube channel is a fantastic resource for Mac and Apple products. What makes Intego the best internet security for you Mac is that they are focused exclusively on Mac security and have been since 1997. They don’t do anything else. The reality is that many Mac security products are not well designed and can cause as many problems as they claim to be able to solve. Intego software is built from the ground up for macOS and Mac OS X in accordance with best practices specified by Apple. In other words they do it right, and the results is a highly integration, fast and efficient security solution that will not slow your mac down or conflict with other applications. This unfortunately can not be said for most of the competition. We recommend the Intego Premium Bundle X9 which includes Internet Security, Content Barrier and the Mac Washing Machine, but if you don’t need all the features you can select the combination of protection you need. Anti-Virus software is not enough! Today you need much more than just protection against just malware and viruses. We recommend Bullguard premium which provides protection from all online threats plus other features to ensure your online safety and privacy. Bullguard Premium combines the Bullguard award winning Anti-vius protection with their Internet Security suite and other features to ensure your online safety and privacy. Simple to install and easy to use. Installs in minutes. The all-new design and intuitive layout make it simple for you to run a quick scan, adjust protection levels, back up your files, customize your settings and more. Everything is just one click from the main BullGuard home screen. Our latest version of Antivirus includes Behavioural Detection, which spots new viruses by how they act on your computer. Together with Signature-based Detection, which deals with known malware, they make up a multi-layered defence system for PC that’s virtually impenetrable. Safe Browsing. All web sites checked. Some websites have malicious code hidden in them. Or they are used to launch phishing attacks. The BullGuard protection software checks the websites that come up in your searches and lets you know which ones are safe. Protect your computer from unwanted hackers and identity thieves with this first line of defense. The firewall protects you against network attacks and prevents cyber crooks from entering your system. Advanced Backup. Easily back up, recover and share files. We’ve included 5GB of FREE online storage so you can keep your important data, photos, music and more safe. You can choose what you want to back up and how often, or just set the feature to auto backup. You can even back up content directly from folders with one click. And here’s more: your back-up data is easily accessible whenever you want to view it or restore it to another computer or even your smart phone. Some programmes contain adware, they install toolbars and modify your system settings. They’re not malicious like trojans or worms but they can change your browser settings, alter your home page and direct you to another search engine by default. BullGuard’s unwanted app tool flags up these programmes and stops them from changing your settings. Spamfilter. No spam. No scam. BullGuard Spamfilter keeps out junk mail and email scams, like phishing attempts, virus spreading and foreign language spam. You can also customize filters to block emails you don’t want to receive. PC Tune Up. Keep your PC running smooth and fast. You’ll never have to wait again to get your computer up and running. BullGuard’s PC Tune Up removes unnecessary files and frees up memory so your computer runs faster. Vulnerability Scanner. Keep your PC in good health. Checks your computer for out-dated software that hackers and viruses can exploit to gain access to your system, damage it or steal personal information. Once this software is flagged up it can then be removed. Our support team is here for you 24/7, providing expert advice and quick answers to your questions. Bullguard offer Free Support 24/7. The Bullguard support team is available for you 24/7, providing expert advice and quick answers to your questions. We recommend Bullguard Premium but if you don’t need all the features you can select their award wining anti-virus or Internet Security software. Today your Mac needs protection from a whole range of online threats. ESET Cyber Security is the solution. ESET Cyber Security provides antivirus, antispyware, anti-phishing protection. ESET Cyber Security Pro. adds a personal Firewall and Parental Control. ESET Cyber Security is much more than just antivirus or antimalware for your Mac, and today you need more protection than ever before. Professional cyber criminals are becoming very sophisticated and employing advanced social engineering techniques to try to fool you into allowing them to access your computer. In particular identity fraud and theft is something everybody needs to be concerned about, regardless of how much money you have in the bank. Antivirus – Eliminate all types of threats, including viruses, Trojans, Worms, rootkits and more. Antispyware – Protect your privacy and stop theft of your personal information. Cloud-powered Scanning – Speeds up scans by whitelisting safe fi les based on fi le reputation database. Anti-Phishing – Prevent attempts to acquire sensitive information such as usernames, passwords or banking and credit card details by fake websites. Personal Firewall * – Prevent hackers from gaining access to your computer and stay invisible to other users in public Wi-Fi networks. Parental Control * – Block unwanted Internet content by categories or individual websites and keep your kids safe online. Presentation Mode – No disruptive pop-ups during presentations, videos or other full-screen applications. Fast and powerful Internet security for Mac powered by the NOD32 record-breaking technology. The cloud based scanning system means that it is able to identify and protect you from the latest online threats, and also speeds up scans by whitelisting safe files based on file reputation database. The resulting smaller system footprint leaves more power for the programs you use daily and extends the lifetime of hardware. For those that have other devices that need protection, ESET offers flexible Multi-device security package that allow you to also protect your Windows, Linux, tablets and mobiles devices with one single affordable license. Eset provide local support for all their products. Do you also have other devices that need protection? ESET offers flexible Multi-device security packs that allow you to also protect Windows, Linux, tablets and mobiles with one single affordable license. Persona is an anonymity tool that lets you create and manage multiple online personas or identities and easily switch between them while protecting your real identity. Want to create multiple online Personas? In seconds you can be safely logged in as a different person. Persona is an anonymity tool that lets you create and manage multiple online personas or identities and easily switch between them. There are many legitimate reasons to want to have an alternative online account but today Online Service Providers like Google and Facebook are actively working to identify and remove duplicate and fake accounts. Persona helps you manage multiple online identities keeping them totally separate and allowing you to make each appear to be in a different location using a different device (PC, Mac, Linux, Tablet, smartphone etc). Persona can be used by anyone that wants to safely operate an alternative online persona and reduce the risk of it being linked back to their real accounts and identity. So what are some of the legitimate reasons for creating and using a different online persona? Political correctness – freely participate in online discussions and express your opinions without fear that you might jeopardize a position you hold, or it could even result in you losing your job. Personal Safety – protect your real identity online from sexual predators, cyber stalkers and other online sickos, especially when engaging in activities like online dating. Identity theft – foil cyber criminals that would attempt to steal your real identity and commit fraud. Personal Privacy – keep your professional and private life separate including your sexual preference, political affiliation or other personal interests. Information Privacy – stop online marketing companies from building profiles on your surfing and buying habits. GeoLocation Unblocking – the internet can block content based on your nationality and reported location but you can create a new persona in a country that is not being geo-blocked. Online Research – conduct legitimate research where your real identity or cultural, ethnic, religious background might be an impediment. Big Brother Paranoia – Edward Snowden has brought it to the worlds attention that governments are increasingly spying on their own citizens. Online visibility – Internet marketers and SEO specialists make use of fake online profiles in an attempt to make the websites they are promoting seem more popular. What most people do not reaslize is that its their computer or device that is automatically providing the online service providers with the information to link their different accounts and identify duplicate or fake profiles. Persona addresses this by allowing you to create and easily manage multiple profiles and accounts, keeping each quarantined from the others. It also allows the accounts to appear to be in different locations using different devices (PC, Mac, Linux, Tablet, smartphone etc). Your IP address shows your location. 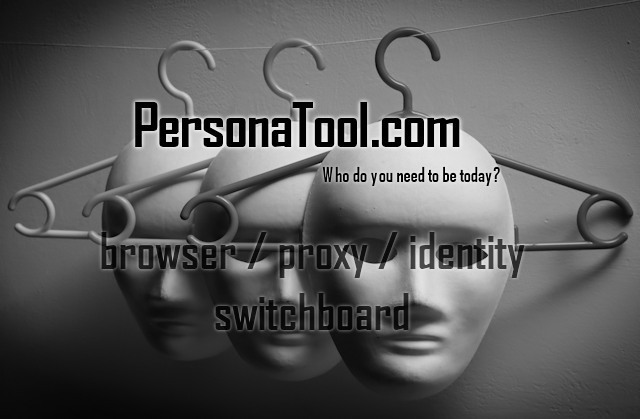 Persona allows each new persona to have a different location using automatic proxy switching which gives each a new IP address to match the location of the new persona. Your User Agent is a publicly visible description of the device you are using and is automatically send by your browser to each website you visit. Your browser will publish information about the make and model as well as the operating system of your device. To make your multiple personas more credible, and reduce the chance of your personas being linked, they need to appear to be on different devices. Persona also provides User Agent Switching which simply means that each persona can pretend to be using different devices, operating systems and browsers. Start a sandboxed profile that is kept separately from everything else, including its own tracking, cookies, etc. Each persona can keep its own history and tracking info to build a real profile stay logged in individually. Get your peace of mind: we ship the source code with our tool, so we all can be sure about the features! For less than $10 per month you get a fully scaled proxy network with a powerful SEO, SEM and Privacy Tool! PersonaTool.com is based on NWJS.io – a tool to work with the Chromium browser and the power of NodeJS. We are releasing new versions with the latest releases of these tools so you stay up to date with browser technology! In order to offer you a diverse reach into the net, we not only use 1 or 2 cloud providers, but also local heros to mix your IPs and outlets with local power. For example, PersonaTools in the US runs on Amazon AWS, Google Cloud, ATLANTIC.net and VULTR.com – just to name a few. The tool was written in NodeJS on NWJS.io. So we distribute it with the source code of the tool. That is your guarantee that it: (a) works everywhere and (b) does what we told you. Q: How can I trust the service? I know nothing about “PersonaTool”! A: “We” that is orga.zone AG in Germany and orga.zone, Inc. in Delaware, USA. Our founder and CEO Ralf Schwoebel is a well known Online Marketing Expert and also developed the backend of PersonaTool. You can always contact us and even him directly on LinkedIn: contact Ralf. Q: What is a Persona? A Persona in the classical marketing language is a demographic related sorting mechanism. 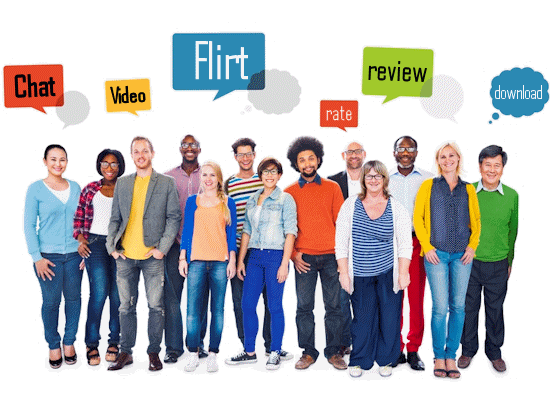 We use it in a similar way and offer you the possibility to create different Personas online. That only works, if an online “person” has a history. PersonaTool does exactly that: it allows you to keep a history of browsing and behaviour in separate browsers. Q: Why do I have to pay for this? A: This is advertising free and not based on your data. We do not look nor ask what you are doing with our tool as long as nobody complains. We offer a global network of outlets for your discretion. That is a solid investment that has to be paid monthly. PersonaTool runs on a network of SOCKS5 Proxies – think of this as gateways into the public Internet that are directly connected to your computer. When you start a Persona with our tool, that instance keeps the outlet in mind and goes online only there. That is an easy and non-transparent way of having 10 browsers on 10 different IP numbers with 10 different sets of cookies and browsing history. We are processing payment with the Stripe.com. A trusted, well know and secure payment provider. Is my data 100% safe with you? Yes, we follow the data privacy rights of Germany. We do not send SPAM or give out your data. We constantly improve our proxy network and the PersonaTool itself. Follow our CEO and head developer orgaralf on twitter to get into communication. If you have purchased a version, you will get updates automatically! Persona provide support for their service. Write us an eMail to info(at)personatool.com, if you need assistance! Persona is less than $10 per month and will allow you to switch between multiple personas but only use one at a time. For anyone wanting to operate multiple concurrent proxies and profiles at the same time there is a special unlimited Agency version. [tabs class=””] [tab title=”Get it now”] If you are still having problems with email spam then its time to look at a different approach. Mail washer might be just what you are looking for. [/tab] [tab title=”Support”] If you are not sure this is what you need or have any question join my FREE internetSOS group at Facebook and ask the Virtual Webmaster. I recommend Roboform as part of my Super Strong Passwords Made Easy system. Since we started using computers they have grown increasingly powerful but our own ability to remember passwords has not changed. For a long time we have been told we need a minimum of 8 characters and then we are to avoid dictionary words, include a mix of upper and lower case letters and at least one number and/or special character. Many systems actually enforce this. DID YOU KNOW THAT ANY TOTALLY RANDOM EIGHT CHARACTER PASSWORD CAN NOW BE CRACKED IN UNDER TWO HOURS ! There is still a lot of advice and online systems out there telling us that we only need an 8 character password, but recently tests were done using regular PC’s fitted with inexpensive video accelerators (used in gaming) and a brute force (process of going through every possible combination) cracking program and it was found that ANY totally random 8 character password could be cracked in under two hours. Using the extensive cracking dictionaries available, most passwords would probably be cracked in only minutes. Many of us who follow the guidelines, be it voluntarily or because they are enforced, are using passwords that humans would find very hard to guess but computers can crack easily. Many of us are also committing our “secure” password to memory and then using it for all the systems we need to log into. Using the same password for different systems. Doing this is extremely dangerous because once one account is compromised, ALL of your accounts are compromised. This means that a bot (automated program to hack into accounts) or a human hackercan easily find all your other accounts and gain access to your life! Using a single password is like setting up your security behind dominos. Once one falls, all the rest follow. You need strong passwords for even the unimportant accounts, including the ones you think you will never use again. In order to perform identity theft, a cyber criminal collects information about you from multiple sources and is able to put together enough information to gain access to your bank accounts and other sensitive information. HOW STRONG DOES A PASSWORD HAVE TO BE? According to Microsoft, the minimum length password you should be using is 14 characters long. Most of us have enough trouble remembering a random 8 character password. Surely 14 is overkill? Not really. The real strength in a password comes from the length. Using three random words would be sufficient to keep a brute force hacking program busy for thousands of years. Unfortunately in their wisdom, most modern password systems will not allow you to just use three random words joined together. They require you include mixed case and usually at least one number or special character. We really need to have strong passwords of 18 or more characters, which include mixed case and numbers, and/or special characters for each of the systems we use. How can we remember a list of strong passwords? You could write them all down and keep them in a diary or on a sheet in your drawer but is that really secure? Even if you could secure the list, it would still be a pain to pull it out and look up the required password each time you wanted to use it. What if you needed to remember just one strong password which would give you access to all the systems you need to access but each system still had its own highly secure password? This is what a Password Management program does. They have been around now for a long time and are robust and secure. They integrate with all browsers and not just keep the list of strong passwords for each system, but will actually log you into the system with one click. process of logging into secure sites much easier and without compromising security. You can create really strong passwords for all your systems and you never need to remember them. It will even generate the passwords for you so you don’t need to think them up. If you do want to make up your own secure passwords, check out our strong password creation system. This is one of those affordable no brainer solutions that not just fix a problem but actually make life easier! WHICH PASSWORD MANAGER SHOULD YOU CHOOSE? It’s one of the original and best Password Managers available. It’s easy to use but also offers a lot of advanced features that you can use if you want to. RoboForm only costs $9.95 for the first year and is available for all your devices. (the Free trial version is limited to 10 passwords). [/tab] [tab title=”Review”]Review[/tab] [tab title=”F.A.Q.”]links[/tab] [tab title=”Support”] If you are not sure this is what you need or have any question join my FREE internetSOS group at Facebook and ask the Virtual Webmaster. Need to store more than 10 passwords? Copyright text 2018 by INTERNET SIMPLE ONLINE SECURITY.